Thank you Linet for the old bedding, they are going to be perfect as lining! 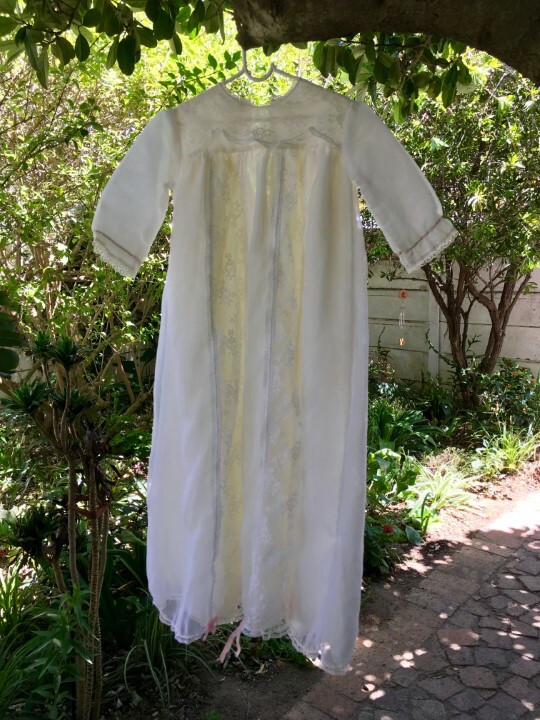 And a bigger thank you for the special christening gown. All three her children were christened in it – two boys and a girl.